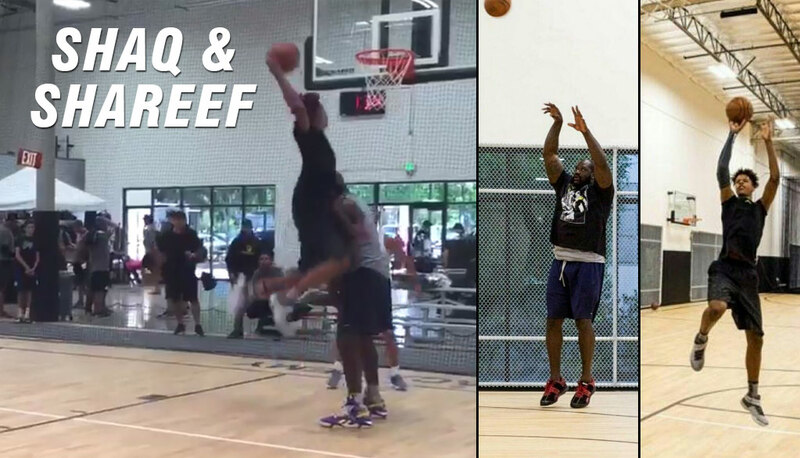 Shareef O’Neal Got To Do Something Only “3” NBA Players Have Done: Dunk On Shaq! As a proud father of two girls I can tell you being a Dad requires you to do a lot of things you thought you would never do and let things happen to you, which were once considered unthinkable. In Shaquille O’Neals’ case, that unthinkable is letting someone dunk on you – without throwing them to a ground or hitting them with a nasty elbow. According to Shaq, he’s only been “dunked on” 3 times: Derrick Coleman, Tim Perry and Michael Jordan. In my book, that number is slightly higher, but out of the dunks he’s willing to admit to, only the one by Derrick Coleman, which happened early on in Shaq’s rookie season, was memorable. Equally memorable is Shaq’s revenge against DC and the Nets for years to come. The next time they met in New Jersey, Shaq tore down the backboard – now that’s making them pay…literally. Then in their first meeting of the following season, Shaq put up a ridiculous 24 points 28 rebounds and 15 blocks (you read that stat line correctly). So here’s a special shout out to all the Dad’s who let their kids put make-up on them, dress them up, cook them awful food or dunk on them.